Welcome to Boomer's Bookstore. in association with Amazon.com, AllWall.com and other great retailers that we selected as the best to provide you with convenience shopping on the Internet! Please let us know if there's anything else you would like to see here! 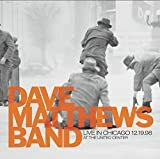 The two-disc Live in Chicago at the United Center 12.19.98 finds the Dave Matthews Band back where they're most at home--in performance--as they delve into band staples ("Crash into Me"), a little Dylan ("All Along the Watchtower"), and even seasonal sounds ("Christmas Song"). "Only TIme" is Number One on the Chart. Songs for the tryings and difficult time. By Iris Krasnow, Miramax, 2003. This terrific book shows us how to listen to our gut instincts, resurrect childhood dreams, and plug into the passion of our souls. by Melody Beattie; Hazelton, 1996. This insighful and straightforward explanation of what codependency is and gives readers the practical information on how to change such unhealthy behaviors. The Language of Letting Go by Melody Beattie; Hazeldon, 1996. Focuses on self-esteem and acceptance with daily meditations. The Enabler: When Helping Harms the Ones You Love by Angelyn Miller; Ballantine Books, 1990. The Enabler looks at how others react to the addict, often facilitating their addiction and useful tools for to regain control of your own life. Getting Love Right: Learning the Choices of Healthy Intimacy by Terence T. Gorski; Simon & Schuster, 1993. Designed to effect change - this book teaches positive skills to develop healthy relationships. 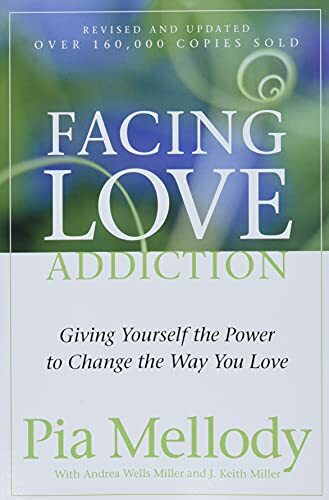 Facing love Addiction: Giving yourself the Power to Change the Way You Love - The Love Connection of Codependence by Pia Mellody, Andrea Wells Miller, J. Keith Miller; Harper, 1992. Describes the dynamics of co-addicted relationships and offers advice on the best ways to develop healthy love relationships. 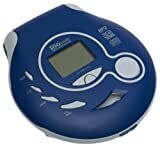 RioVolt SP90 Portable CD-MP3 Player. This great portable CD-MP3 player plays standard audio CDs as well as MP3- and WMA-encoded discs (potential for over 20 hours of music on 1 disc). The RioVolt SP90 is the simple solution for anyone looking for a versatile portable CD player. The RioVolt SP90 plays CDs encoded with MP3 and WMA (Windows Media Audio) files, as well as standard audio CDs from either CD-R or CD-RW discs. By supporting both MP3 and WMA formats, the RioVolt SP90 gives you the freedom to choose the quality and play time you desire, depending on the bit rate and compression method used during the recording. Check out the Allwall.com Posters for more great James Dean posters & art prints. events of the Hippy Movement. A great resource for hippies and students.